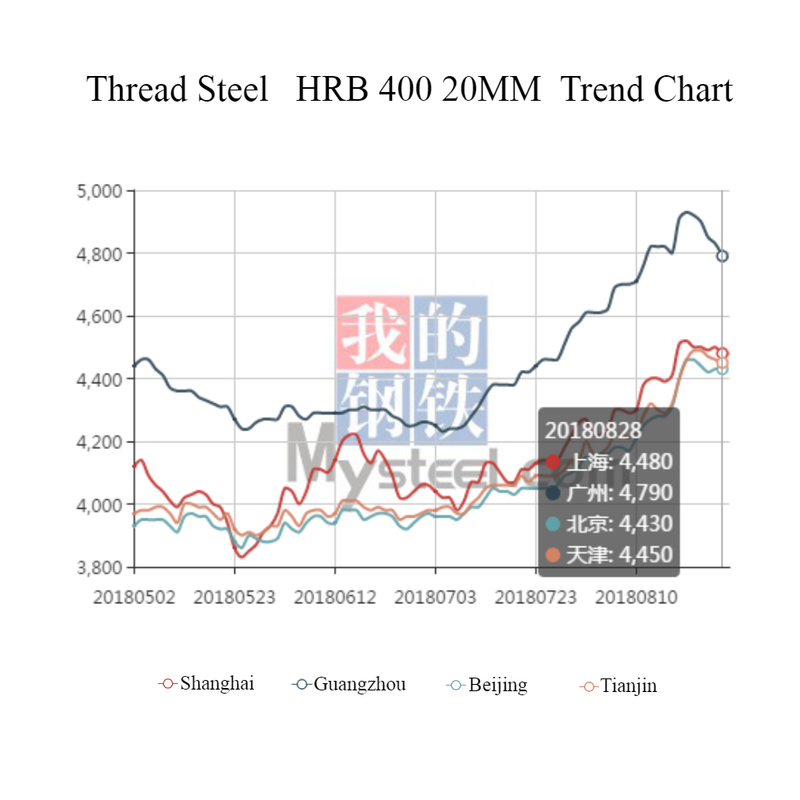 According to the chart, we can see the raw material thread steel price is going up now. August price has reached 4450 RMB/Ton in Tianjin. So if customers who need to purchase Ground Screw, pls arrange orders earlier to avoid price rising.